I'm scolding myself for not publishing this post, I found it sitting there in my drafts... oops my bad. 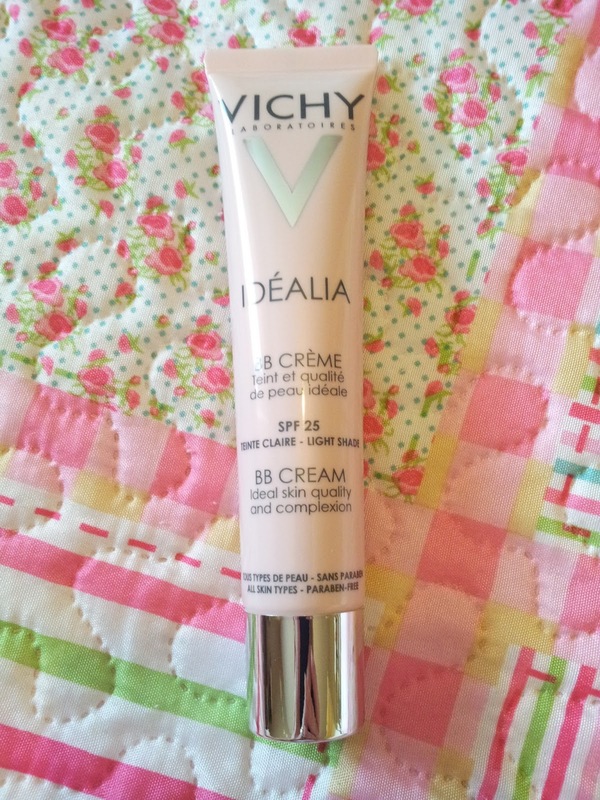 I wanted to scream and shout about the new Vichy BB Idealia BB Cream because basically it is awesome! I really find it hard to find a product that leaves me looking even and fresh. Most foundations, concealers and BB creams just leave me looking slightly tangoed and it's just so frustrating to be honest. 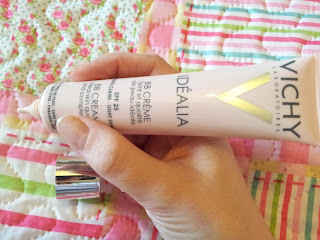 Artdeco are the only brand I've found that offer a suitable BB cream but it just feels slightly too heavy for a hot summers day like today. When I kindly received this to try out I did think it would be another fail. 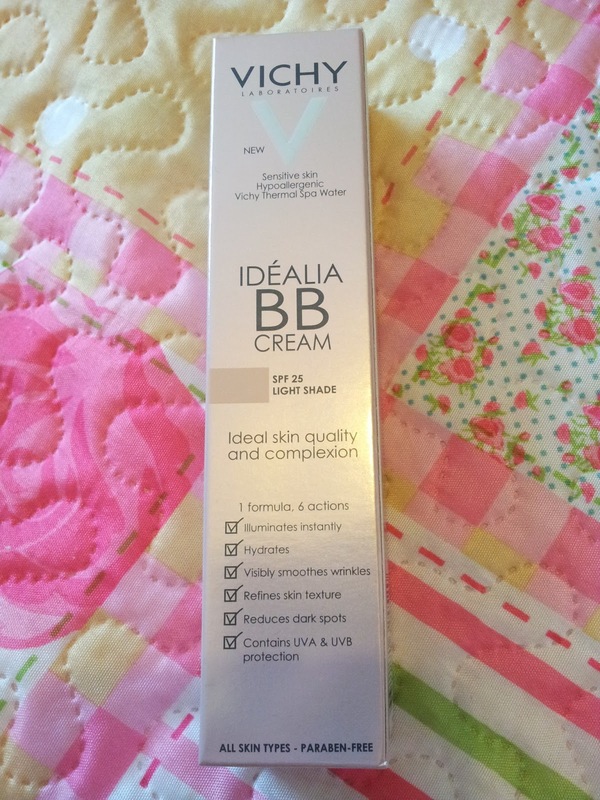 Not because of the brand but just due to past experiences with BB creams. Reading up I found the Idealia BB cream was designed to illuminate, hydrate, smooth wrinkles, refine skin texture, reduce the appearance of dark spots and protect with SPF 25. I was intrigued, especially with the refine skin texture and illuminate part. The inner human magpie in me had also fallen in love with the cute packaging. I want my skin to look as smooth as the packaging does. See how cute is that, you can apply it like a pen. It has a fine applicator end so you can precisely apply it without wasting product - nifty isn't it. Here goes. 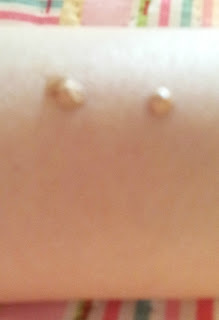 I splurged two similar dots on to my arm carefully blending the one of the left. (Sorry for the poor focus on this, my camera just did not want to play ball). Fully blended you cannot even see where the left blob was. 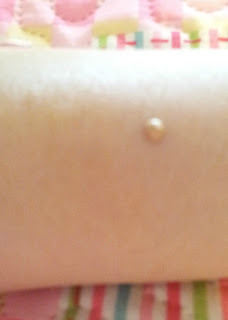 It also left my arm with a slight but natural shimmer which was exactly what they claimed it would do. Having then moved on to the full face coverage I wasn't disappointed. I fully recommend this if you have a light skin tone. Especially if you find other BB creams just do not work or leave you looking tangoed. You can pick it up at HERE for £21.25.